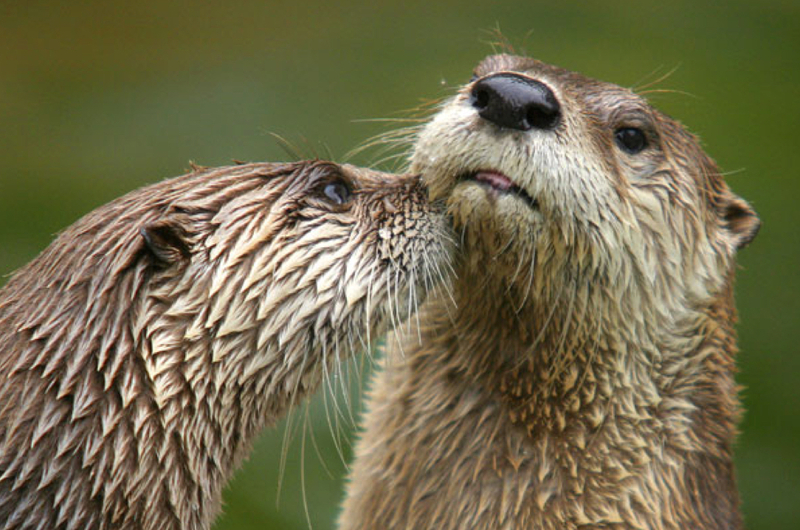 Founded by two teachers in 1982, the Port Townsend Marine Science Center (PTMSC) is an educational facility located in Fort Warden State Park. Located at the entrance to Admiralty Inlet, PTMSC is a spectacular site to view marine mammals, and learn about them, too! The natural history museum is on the shore. PTMSC offers a variety of exhibits, teacher workshops, and youth summer science camps furthering its mission of marine conservation and education. The Center also features a Whale Trail sign and hyrophone-listening exhibit, both located on the east side of the pier, facing Admiralty Inlet. From the pier, look east across Admiralty Inlet. 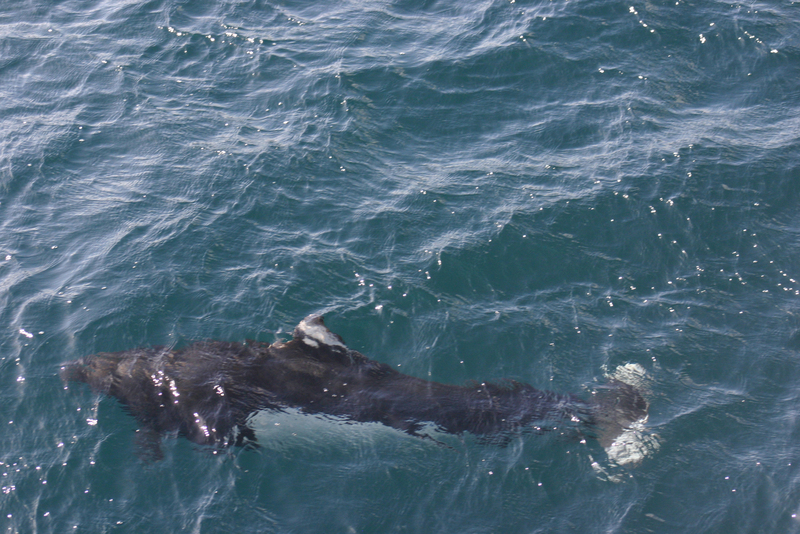 You might see resident or transient orcas, gray whales, or sometimes, humpbacks or minkes. California sea lions and harbor seals are commonly seen, and Stellar sea lions are occasional visitors too. From the nearby Point Wilson Lighthouse, look north across the Strait of Juan de Fuca. The Strait leads directly to the open ocean, and is an important passageway for the whales. PTMSC is part of the Salish Sea Hydrophone Network. A hydrophone is stationed beneath the science center on the pier. Orca calls detected on this hydrophone alert researchers to the presence of the whales and which way they are going – vital data for this endangered population. 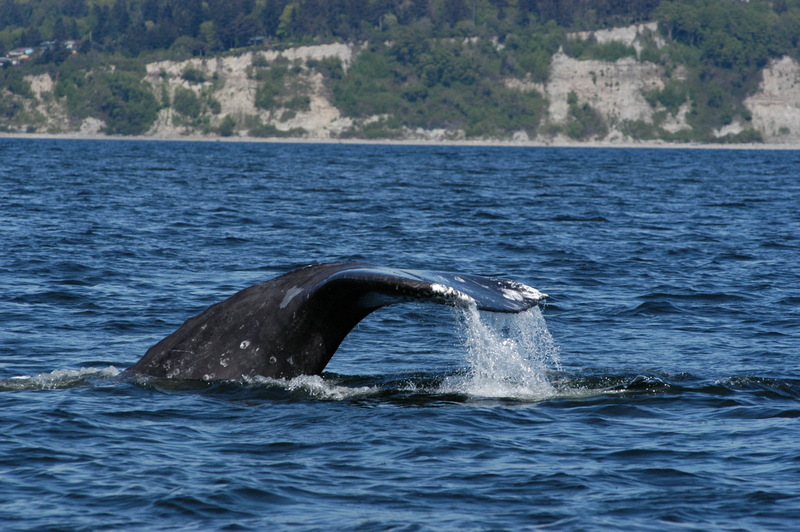 Calls here are often the first clue that the whales are heading into – or out of – Puget Sound. Listen to the hydrophone live from speakers on the pier (next to the Whale Trail sign), or online through the Salish Sea Hydrophone Network. You never know what you will hear – boat engines, or the swooping calls and sonar clicks of passing orcas! Join the network of citizens who help monitor the hydrophones, and report what you hear to detection@orcasound.net. In 2002 a female orca died and washed up on a northwest Washington beach. A male orca swam nearby and wouldn’t leave. Eventually the male swam off leaving the deceased female behind. When scientists analyzed the female transient orca they found she carried one of the highest concentrations of toxins ever recorded in an orca. The Port Townsend Marine Science Center community named and adopted the whale into their exhibits in order to tell her story. Children and volunteers participated along the way burying her remains, uncovering her skeleton after decomposition, and then articulating her skeleton for display. In the near future visitors will be able to view Hope’s skeleton in a new display hall where her story and connection to the Puget Sound ecosystem will be shared.